Apart from being used for proposals, roses are beneficial for beauty reasons as well. 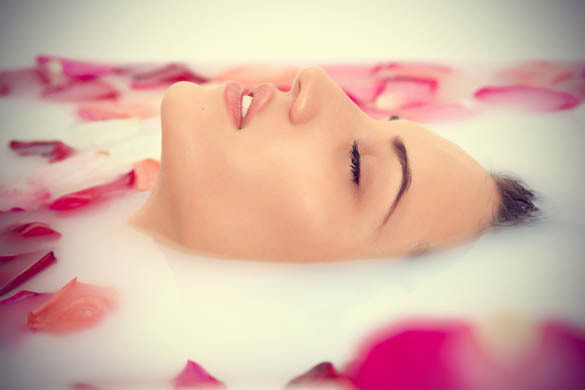 From ancient times till date, people unanimously use rose petals for one reason – to have an aromatic bath to relax and soothe the mind. But, are you aware of its other benefits as well? Here are some hair and skin care routines that this fragrant flower can offer you. 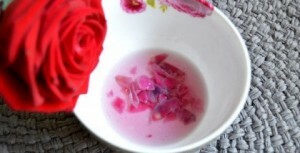 Rose water is known to be a natural skin toner. Before going to bed, dip some cotton in rose water and dab your face in circular motion. This will help in getting rid of the dirt as well as the makeup. 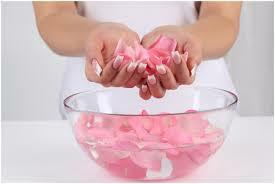 Natural oils found in rose petals moisten the skin. Also, sugars in this flower benefit sensitive skin. Rose petals are a rich source of vitamin C and act as an excellent sunblock. Make a lotion by mixing cucumber juice, glycerin and rose petal and apply this to your skin before you head out. Rose water fights against acne and breakouts because of its anti-bacterial properties. It helps in reducing the redness in the skin as well. Soak some cotton in rose water and leave it on your closed eyes overnight for best results. If you are stressed out, prepare a bath with water and rose petals and soak yourself in it for an hour. It helps in soothing your mind. Rose water helps you to get rid of flakes on your scalp. Also, it helps in increasing blood flow to the hair follicles, thus promoting hair growth.